Weekends seem to be so tough for me to keep up with this! I take pictures but never get the time to post! So instead of back dating a zillion posts thanks to pic stitch here are my pics from over the weekend! -We went to a great Agricultural charity event and this centerpiece made me laugh! 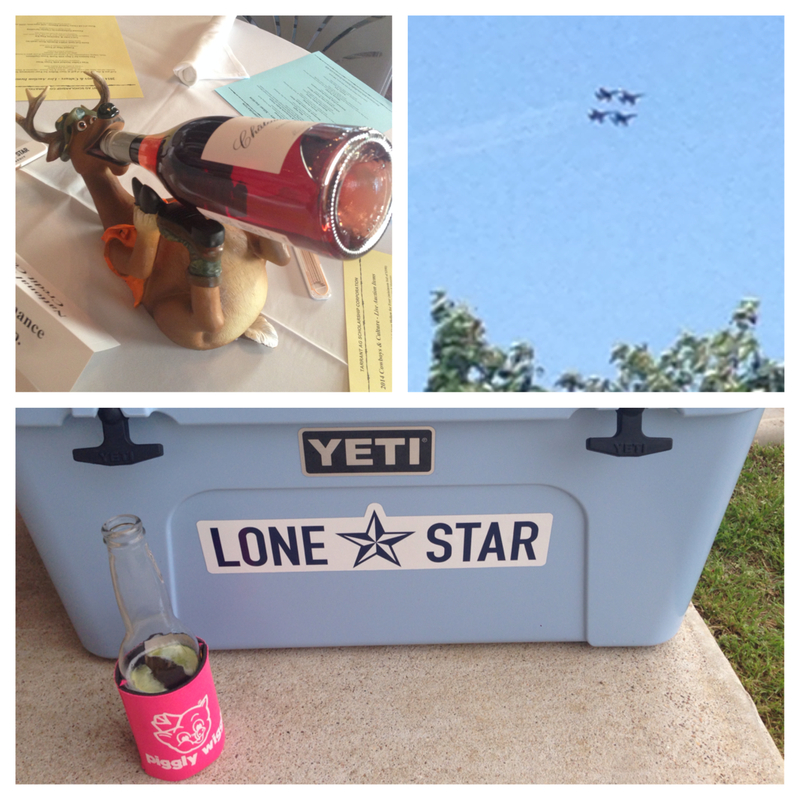 -The air show was happening this weekend and We enjoyed it from our own backyard! LOVE the Blue Angels! Such a cool thing to watch! -Finally at said charity event we bought [another] Yeti Cooler! We love them! Also I love my Piggly Wiggly Koozie!